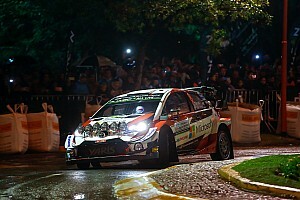 Almost 50 seconds behind runaway rally leader Tanak, a three-way battle over second place continued to play out, with Mikkelsen and Esapekka Lappi heading to the first Likenas test tied for time overall. 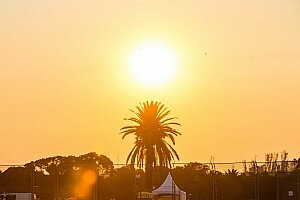 But a poor run to the 10th fastest time on the first of two passes demoted Mikkelsen from equal second to fourth, also falling behind his Hyundai teammate Thierry Neuville, who now holds third. Lappi was fastest of the sparring trio on both runs through Likenas, boosting his advantage over Neuville to 4.4s overall. 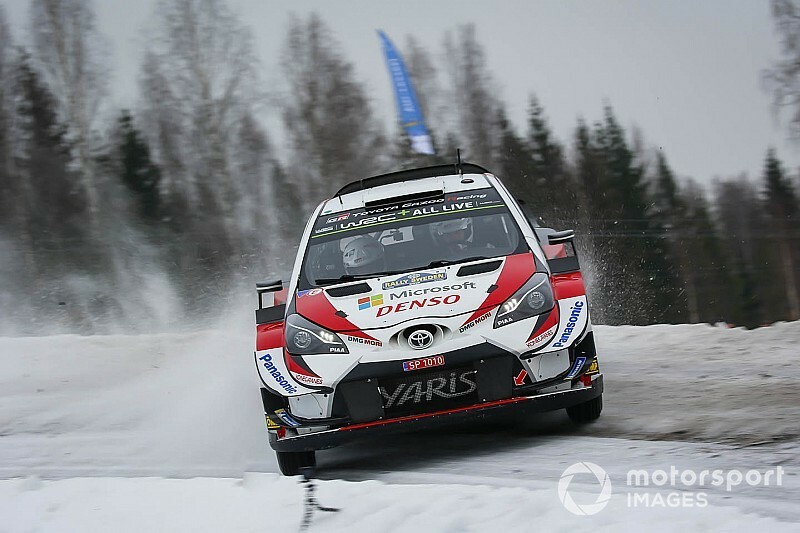 Mikkelsen, complaining that his car was not “reactive” enough to match the pace of Lappi and his own team-mate, is now 4.2s off Neuville and falling towards Elfyn Evans in fifth place. Evans was fastest through the second running of Likenas, reducing the gap between himself and Mikkelsen to 6.4s with only the Torsby finale to go. Toyota’s Kris Meeke had been under pressure from Sebastien Loeb for sixth place on Saturday afternoon but extended his gap, going 7.6s quicker than the Hyundai driver across both runs of Likenas to boost his overall advantage to 9.2s. Behind Loeb in seventh, Pontus Tidemand (M-Sport Ford) is over a minute and a half behind in eighth, though is well clear of ninth-placed WRC2 leader Ole Christian Veiby (Volkswagen). Ford privateer Janne Tuohino entered the top 10 overall for the first time this weekend, going four seconds clear of WRC2 Pro leader Mads Ostberg (Citroen). 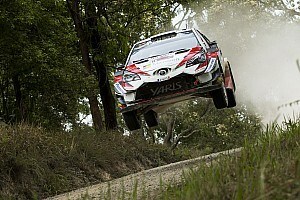 Friday retiree Jari-Matti Latvala, running as third car on the road, set the fastest time on the first run though Likenas, 0.2s ahead of Sebastien Ogier who started one place earlier in the running order. 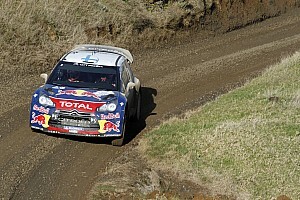 Ogier deliberately drove at a slow pace through his next run on Likenas, saving his tyres for an attempt at maximum points on the rally-ending Torsby Power Stage. Teemu Suninen also returned to action after hitting a tree on Saturday, damaging the rollcage on his Ford Fiesta.